An international debt collection company asked PMR for a comprehensive analysis of debt collection in Poland. In addition to information such as market volume, value and growth potential in the next few years, the client wanted to assess their competitive position and verify the opinions of consumers and business partners on the subject of the quality of their services and the competitors’ services. The client also wished to receive data on other market participants. PMR Consulting prepared a methodology which made it possible to accurately estimate the size and value of the market, and to indicate forecasts for the coming years. Using in-depth desk research and in-depth interviews with companies which use the services of debt collectors, we were able to gather data on our client’s current market position and competitive environment. Additionally, we delivered detailed information on the strengths and weaknesses of main players in the market, as well as planned legislative changes which could affect the sector’s development. We provided the client with data which allowed them to verify their position on the Polish debt collection market, and to determine their position against the competitive backdrop. 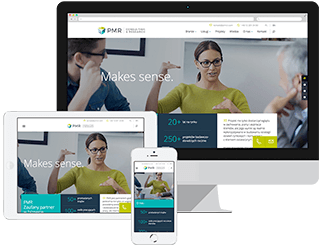 Forecasts and growth scenarios prepared by PMR consultants will allow the company to plan their business steps accordingly and adjust their growth strategy to local market conditions.